Whether it’s your first or 15th time in New York, there are always amazing places to discover in this endlessly inventive and vibrant city. But there’s more to this location than the Big Apple itself – the surrounding area of New York State is packed full of wonderful places to explore, while the whole east coast of the USA beckons. Venture beyond the Big Apple with five of the best day trips from New York. Just an hour north of New York, Bear Mountain State Park is full of hiking trails, picnic spots and places to swim and sail. It’s a real treat for nature-lovers, and especially birdwatchers – part of the Iona Island/Doodletown Bird Conservation Area falls within the park, with more than 165 species observed. Established in 1913, it’s located on land that was once the site of civil war fights, and there are still historical sites there today. But now it’s a place for visitors and locals to relax, skate, sled and ski. 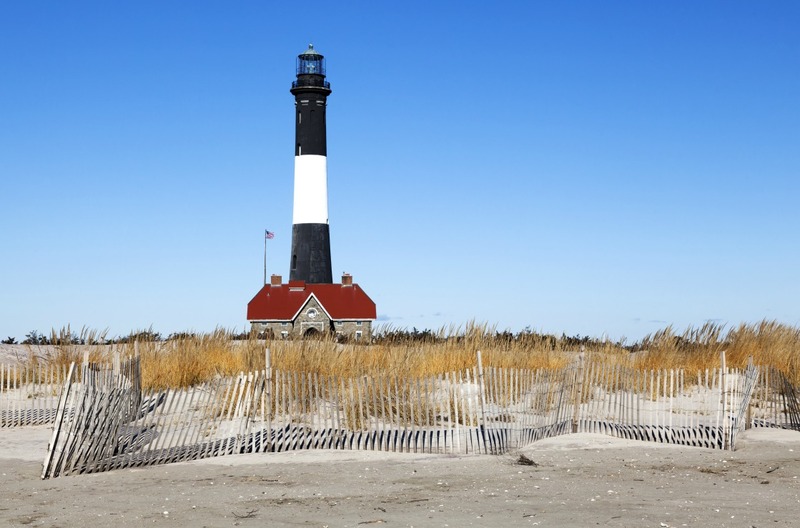 Just a two-hour drive from Manhattan, Fire Island has all the golden, sandy beaches and photogenic viewpoints you need for an easy break from the city hubbub. It’s one of a number of barrier islands, just south of Long Island, and at 30 miles long it has a slither of space for charming towns, hamlets and flora- and fauna-filled parks. You’ll love it here if you enjoy hiking – not least because the centre of the island is car-free. A couple of hours south-west of New York, you’ll find Philadelphia, the City of Brotherly Love. 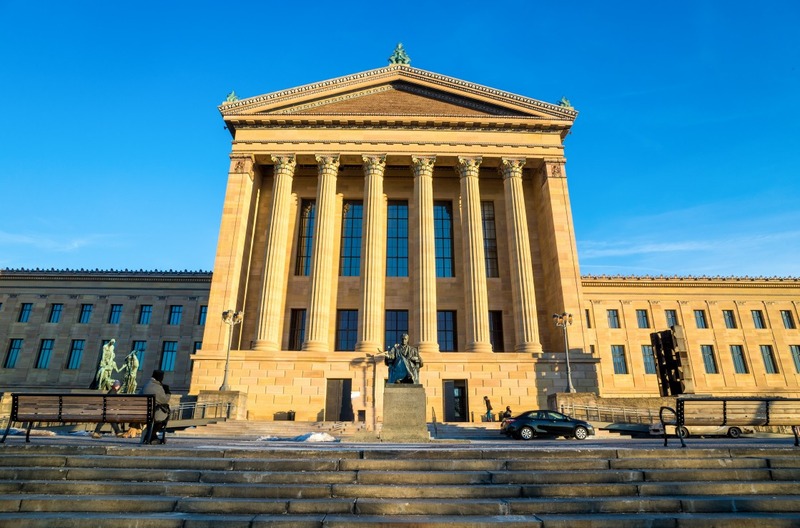 Fans of the Oscar-winning film Rocky should head straight to Philadelphia Museum of Art, where you’ll find the Rocky steps. Pretend it’s 1976, don your favourite sportswear, run up the 76 steps, and raise both fists in the air to recreate Balboa’s iconic scene. At the bottom you’ll find the Rocky statue, which was made for – and featured in – Rocky III. 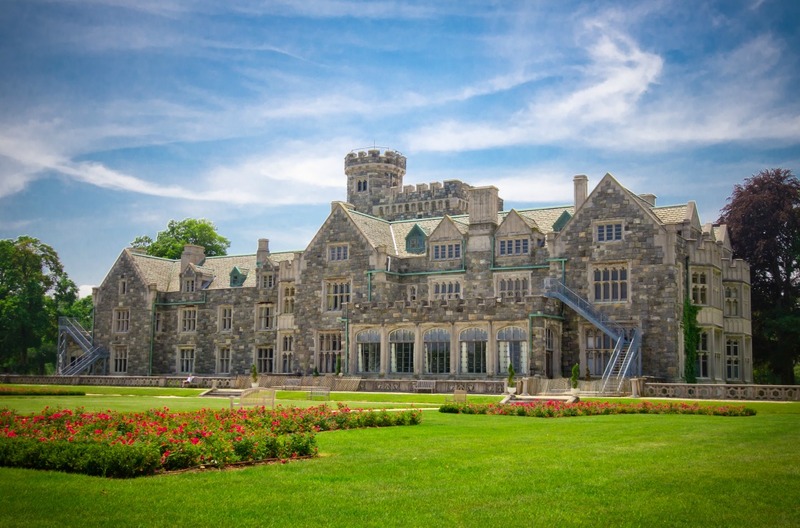 A huge, 50,000-square-foot mansion built in 1912, Hempstead House is like something from the pages of The Great Gatsby. In fact, it was built by a railroad magnate and later owned and lived by a relative of the famed Guggenheim family. Tour it today and you’ll get a real sense of the glamorous soirees that were once held here, with a truly opulent interior. Famed for evolving into a large-scale weekend retreat for New York’s most affluent, the Hamptons on Long Island is open to everyone. Well, most areas are. There are plenty of friendlier, more accessible stretches here too, where you can enjoy the pretty bays, arty enclaves and dig into the history of the area. It’s a place that has long had an allure for artists and writers, and you can tour the home and studio where Jackson Pollock – known for his drip painting – lived with wife Lee Krasner. If you’ve a taste for Pollock, seek out the Parrish Art Museum, where you can see his work in a simple but stunning building. There’s so much more beyond the Big Apple, so make an easy escape with car hire in New York, with day trips of discovery in every direction.